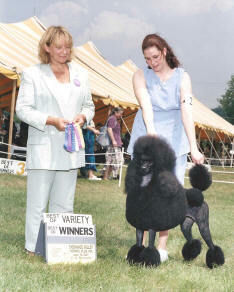 These are just some of Emma's show photographs, both from her American and her Canadian championships. Emma is the mother of Lyness (Ch. 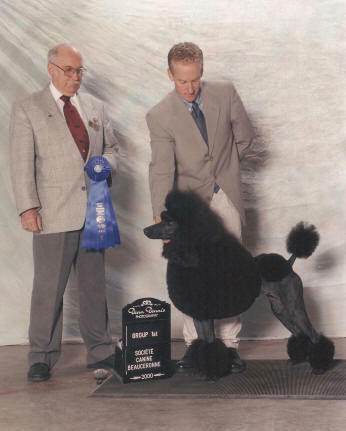 ParrisHill Lord of the Dance); Philippe (Am/Can Ch ParrisHill Piece of the Puzzle); and Riva (ParrisHill Riverdancer). 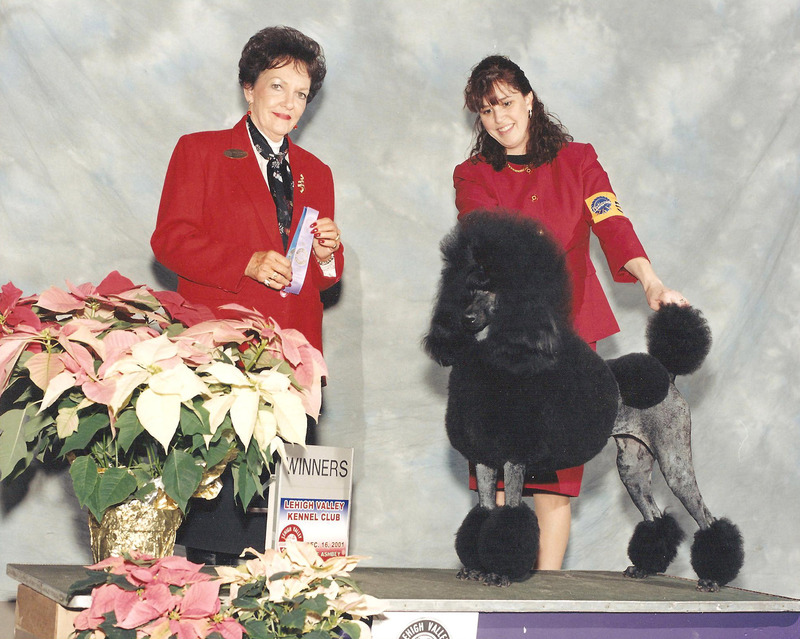 This was Emma's first major, on June 30, 2001, for four points. 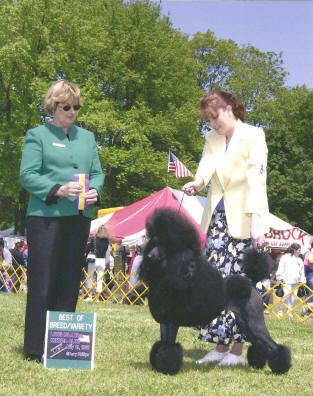 Chenango Valley Kennel Club, Judge Carol Reisman. Her second major was on December 16, 2001, for three points, with Judge Jean Fournier. 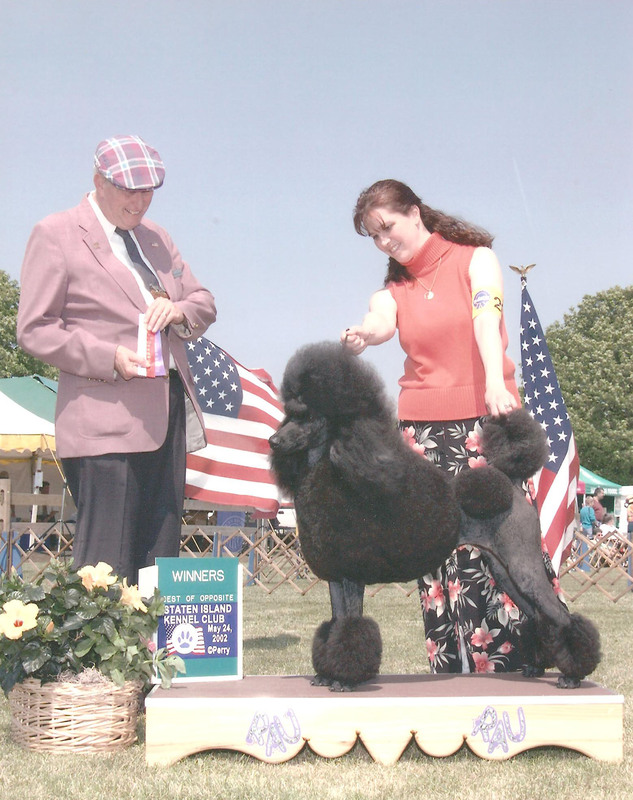 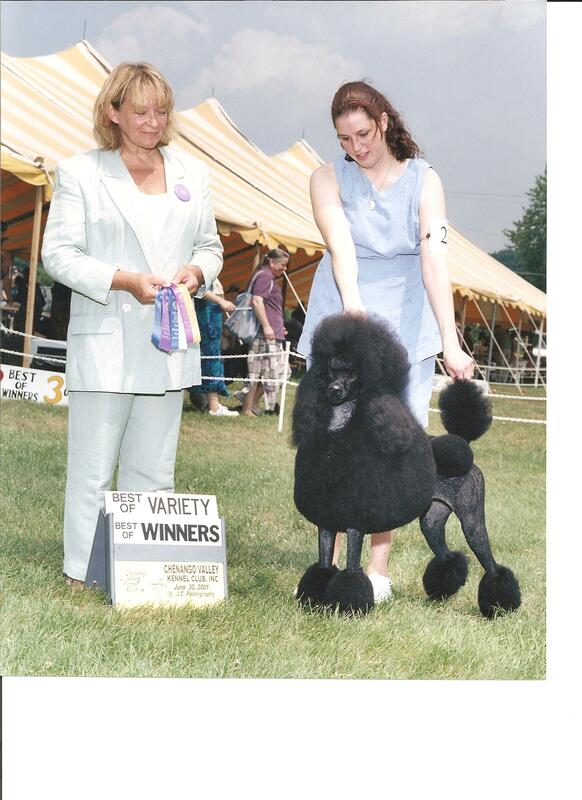 This was taken May 6, 2002, at the Delaware Water Gap Kennel Club, with Judge Carolyn Thomas. 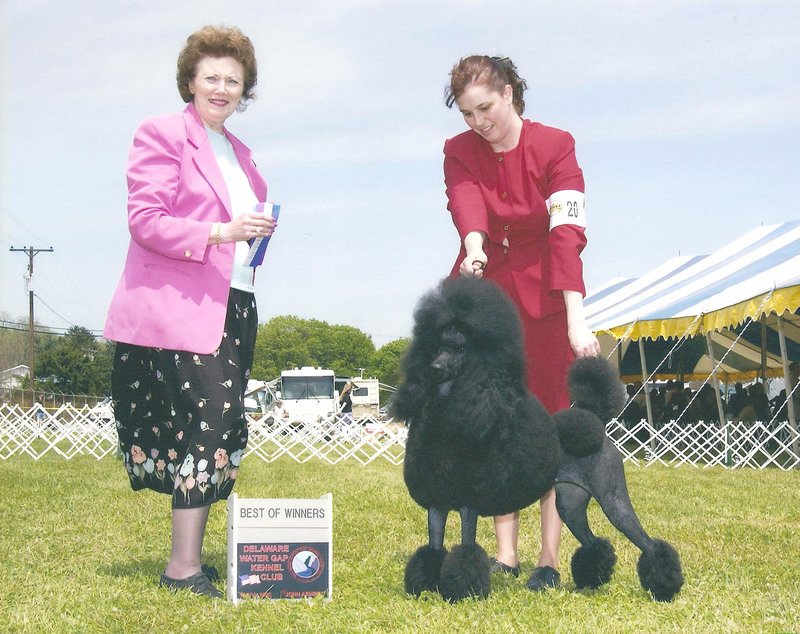 May 19, 2002, Long Island Kennel Club, Judge Charlotte Patterson. Emma in Canada, with Graeme Burdon handling.